Happy Friday everyone! I have GOT to knock out at least a one of the half a dozen random projects sitting around the house this weekend, although we have training at work all day Saturday that’s really crampin’ my plans. You think they’ll mind if I hot glue and spraypaint while I learn first aid/CPR??? 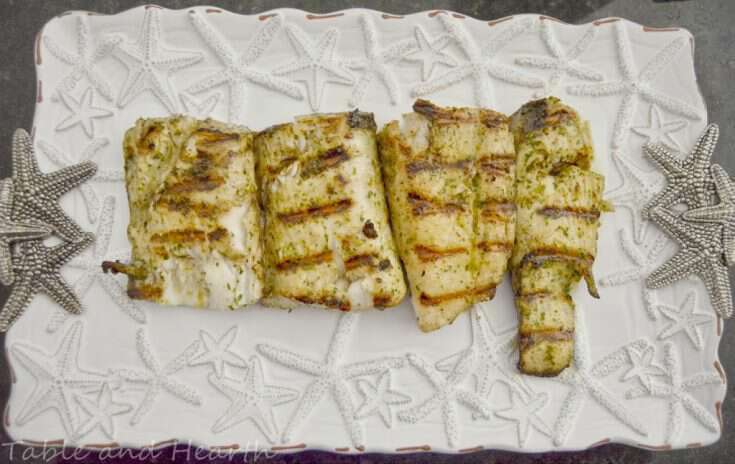 After our first fishing trip this summer, our friend gave us his marinade recipe and we’ve been grilling our wahoo and mahi-mahi in it ever since, it is crazy good. And crazy easy. 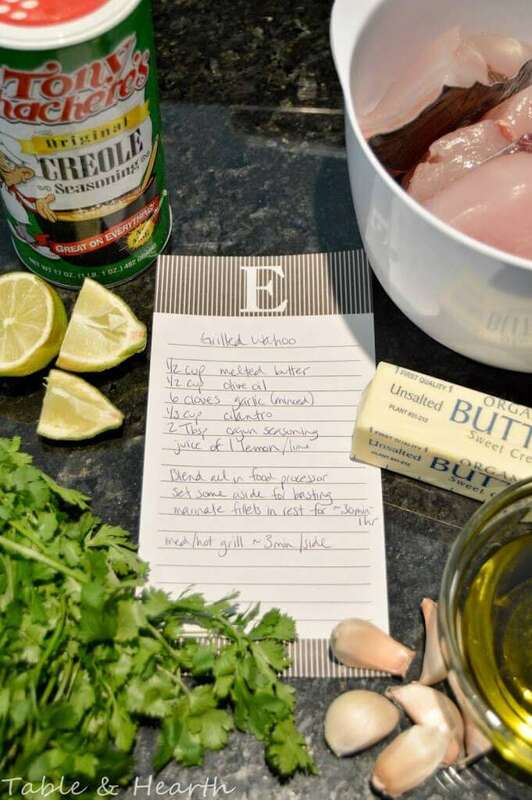 There’s only six ingredients to the marinade: melted butter (duh! 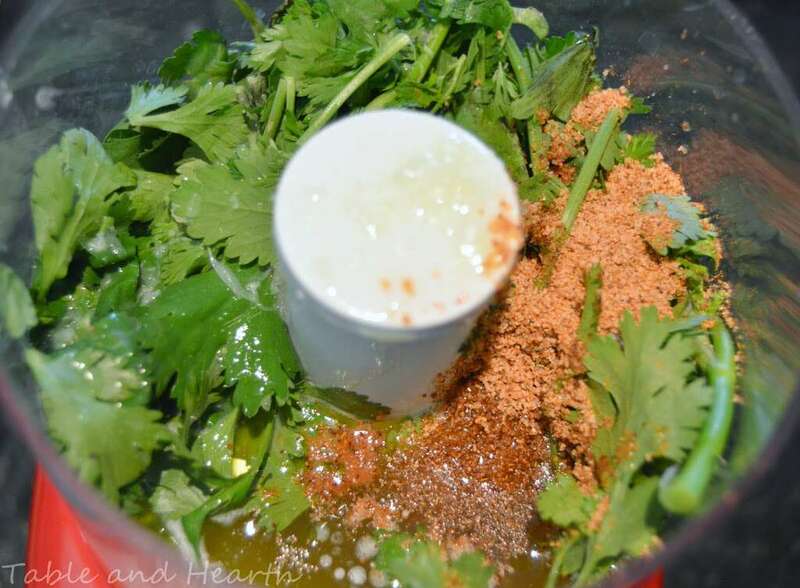 ), olive oil, garlic, cilantro, Tony’s, and lime juice. You can use lemon juice too, zest it up with some jalapeno, or take out the cilantro if you want, whatevs. It’s very play-friendly. Get your fillets all clean and ready. Remember to trim out that blood line if you can. We were using wahoo here and have done it with the skin on and with the skin off and found it cooks up better without the skin. For some reason, with the skin on it didn’t stay in a nice firm steak. 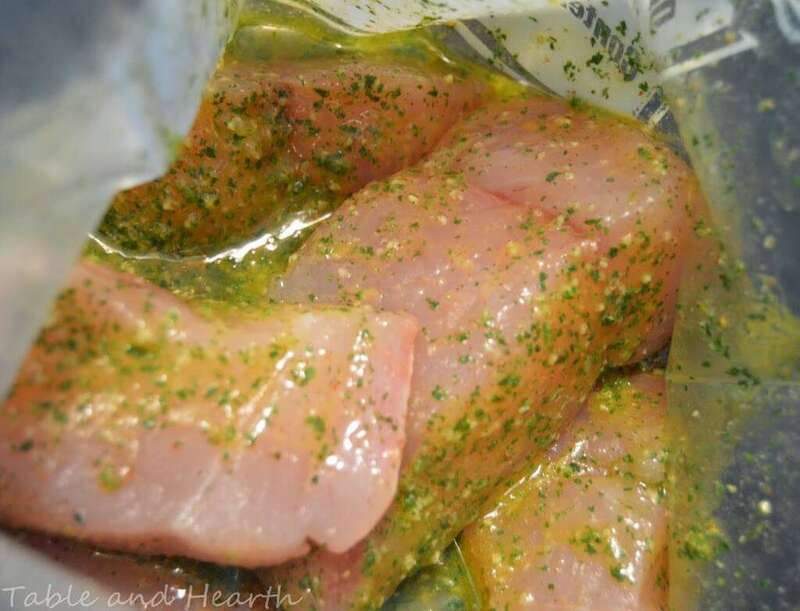 Put the fillets in a large ziploc or lidded container and pour the marinade in (make sure to get all those garlic bits at the bottom!). Swoosh them around real good so it all gets coated and let it sit in the fridge for half an hour to an hour, occasionally swooshing it the whole time. Keeping some of the marinade aside, toss the fillets on a medium hot grill for about three minutes per side, depending on how thick they are. While they’re cooking, baste them with more marinade. We pull ours off a tad bit before they’re done so they won’t be dry (they keep cooking after they’re taken off). 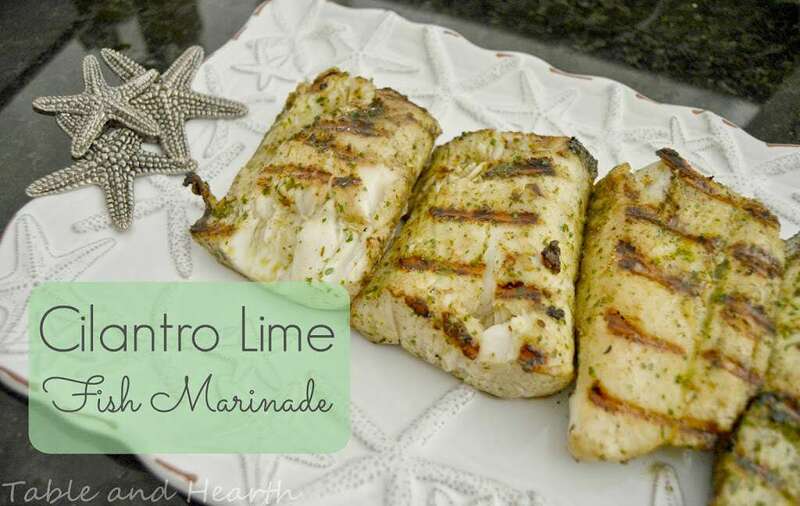 A quick and easy marinade with TONS of flavor for any firm, white-fleshed fish like mahi mahi! Set some marinade aside for basting, pour the rest into the fish container then gently shake/stir/mix to cover evenly. Let marinate in refrigerator for 30-60 mins. Stir/flip occasionally while marinating. Grill fillets over medium heat grill for about 3 minutes per side. This was the best tasting grilled fish I have ever eaten! Let me know what you think Sandra! You should, fish is so easy Jessica! I am still not comfortable at all with cooking red meats but fish is so easy and quick, most recipes only take a few minutes on each side to be done. I would love to hear how you like it! OOOO I love the sound of this! I love a good fish meal, it has to be hearty for my husband to give it a try – thanks for this! 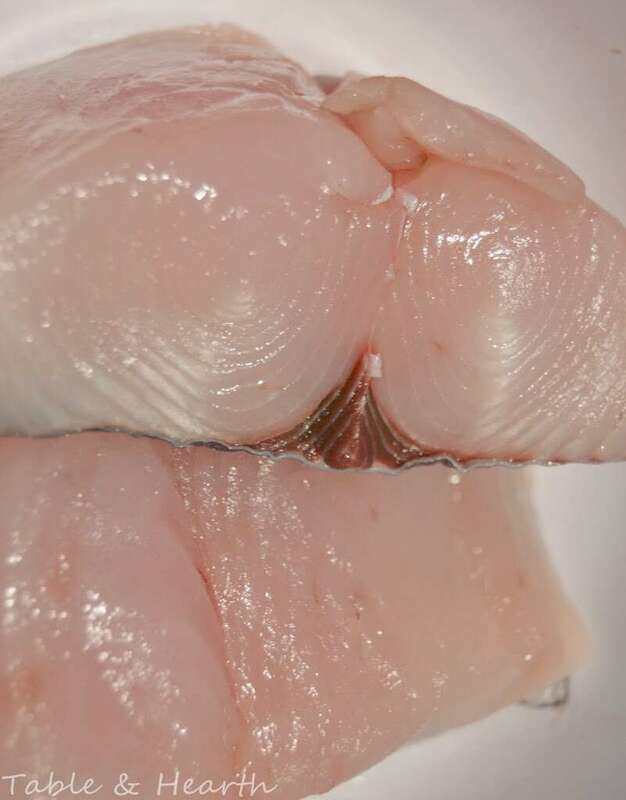 Any fish that has a super thick fillets like these will be totally man-worthy :) Let me know how y’all like it! Looks good! 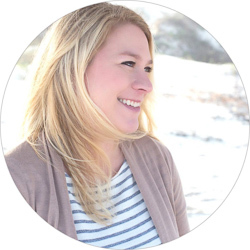 I would love it if you joined and contribute your awesome posts at my link party at City of Creative Dreams, starts on Fridays :D Hope to see you there at City of Creative Dreams Link Party. What a wonderful sounding and looking recipe…and only 6 ingredients…wow, talk about simple. It totally is, and that’s our favorite part (other than how freakin’ good it is of course)! Mmmm… Thanks! I’ve got some fish I need to cook too! It is so stinkin’ easy Stacy, let me know what you think!! 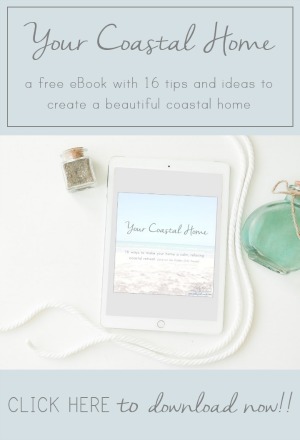 I love fish so will definitely try this out – Thanks for linking up to Pin Worthy Wednesday, I have pinned your post to the Pin Worthy Wednesday Pinterest Board. That’s alot of “P”s!! :) Thanks Amber! Yummy! I will have to try this! It is so freakin’ good Keitha, go for it!! Try putting this marinade on vegetable scewers too . Awesome! Oooo that does sound good, I’ll have to try it! When I put the fish in fridge after pouring the marinade over it, it coagulated to a soft spread. I would guess because of the butter in it had cooled. So how does the fish get marinaded if it just hardens on top. When I took the fish out of the container. The marinade on the bottom of the fish just stuck to the container and I iust had this semi-hardended marinade on the top of the fish. It had some flavor but not what I had expected. Thank you for trying the recipe Luke, but I’m so sorry to hear it did not come out as well for you! Ours does not solidify, not sure why but perhaps because we flip and mix it every 5-10 mins while in the fridge and usually just have it in there for 30 mins? You could also try leaving the butter part out and just marinating in the rest of the ingredients, then brushing the melted butter on during grilling and see if that maybe helps? 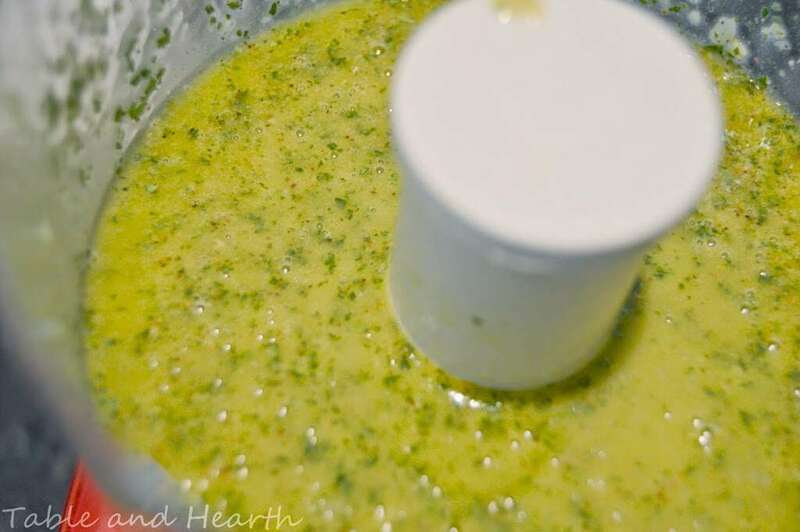 I hope you’ll keep playing with it and hopefully it can work for you, it really is still the best fish marinade we’ve done at home and still use it often! 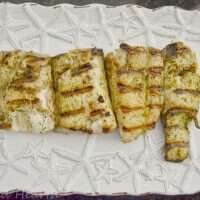 This looks delicious and the marinade would probably work great on shrimp or chicken too…can’t wait to try it! I’m sure you can use olive oil in place of the butter but that too will solidify if left too long in the fridge. Then add a pat of butter just before taking it off the grill if you choose! Do you use salt free Cajun seasoning? Looks really good can’t wait to try it. Thank you! No, I just use the plain Tony Chachere’s Cajun seasoning. I’m sure salt-free would work well too though! I wonder if you could just bake the fish in this marinade? I have a similar recipe to this that I fry with the marinade bubbling around it and it’s delicious too. Oh I’m sure you could and it would be amazing!